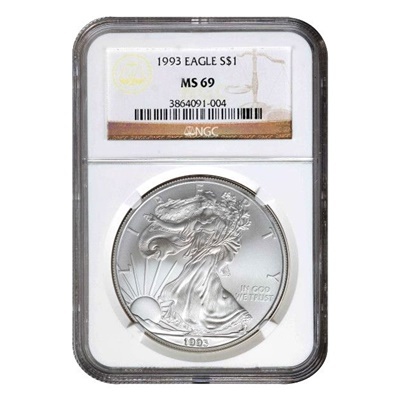 This 1993 Silver Eagle is graded MS-69 by NGC from the USA Mint. Containing 1 troy ounce of .999-fine Silver. 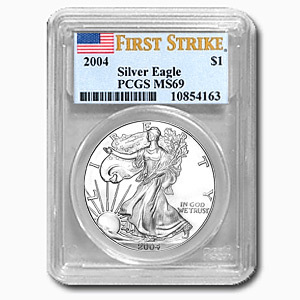 The American Silver Eagle coin is one of the most highly recognised Silver bullion coins in the world, and at MS69 grade is one off the highest grade available with a limited population in circulation today.